The sturdy Square 'U' Rack is a superior bike theft deterrent. This bike parking rack uses heavy-duty 2" square steel tubing that makes it impossible to cut with a pipe cutter. 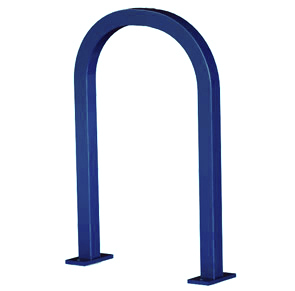 The Square 'U' Rack is ideal for bike parking areas where security is a primary concern. Meets Class II guidelines by providing exceptional support for the whole bike, frame and wheel, using just a single U-lock. This bike parking rack supports each bike in a stable upright position and holds up to two bikes, one on each side. 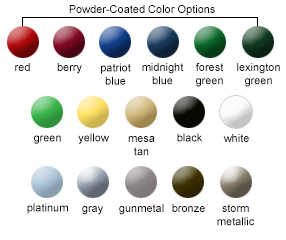 Square 'U' Rack bike rack models are offered in galvanized finish and 3 distinct types of powder-coated finishes; Powder-Coated, and Powder-Coated Stainless Steel, each type are available in the color options as shown. Drop In Anchors available for concrete installation.